With Mediterraneo we introduced a new category of turntables and then we applied the same principles to Giglio and eventually to Pianosa, the new addition to the family. 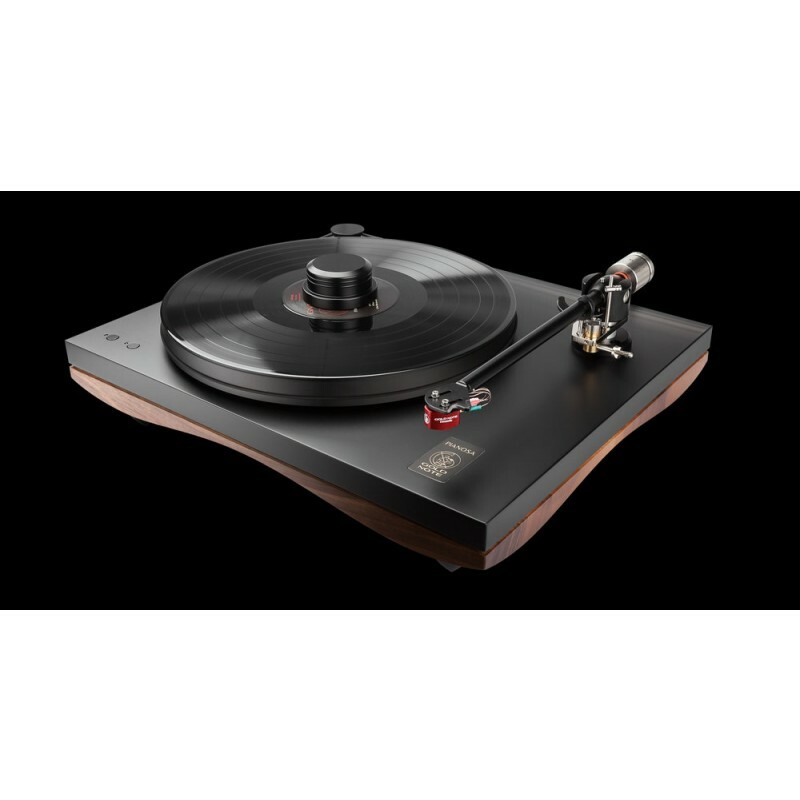 These creations redefine the classic idea of turntable through innovative shapes and quality materials to merge tradition and technology in order to provide the best musical experience for all the senses. Pianosa features a curved plinth in Italian hardwood Walnut that reminds of the Tuscan landscape and the way its rounded hills, warm sea and gentle waves are one thing with the skill of local craftsmen who hand-made every single plinth from precious woods, a material chosen for its exceptional strength and high density. The curves of Pianosa are necessary to achieve extra rigidity, allowing us to combine a refined technical design with elegant, smooth lines. The Walnut plinth is also coupled with a 20mm thick MDF plinth and reinforced with a 3mm stainless steel plate. The Power Supply Unit is crucial to guarantee the best performances and Pianosa features electronic controls for 33/45rpm mode and for speed fine adjustments, any adjustment is saved and stored in memory even when unplugged from the AC. Thanks to our proprietary 12Volt synchronous motor based on PWM technology [Pulse Width Modulation], that transforms the voltage from AC to DC and back to AC, the two AC semi-waves are perfectly coupled to minimize vibrations while providing high torque. The platter Spindle/Bearing system is made of the best hardened steel and bronze to grant superior precision, the platter is made of Sustarin (23mm thick) - a special PTE rigid but dead at the same time - and the new polished hourglass pulley is shaped to improve the transmission: every detail is designed to reduce vibrations, noise and wow&flutter with improved rotational stability.